ST. GEORGE — Offering the comfort of spacious rooms, the confidence of state-of-the-art equipment and a focus on family-centered care, the Intermountain Women and Newborn Center is preparing to open their doors and begin offering patient care at their new location at the Dixie Regional Medical Center River Road campus. The switch-over from the 400 East campus will take place Dec. 11 starting at 6 a.m. Women who go into labor before 6 a.m. on Dec. 11 will need to report to the labor and delivery unit at the 400 East campus, while those in labor after 6 a.m. should go to the new unit at the River Road campus at 1380 E. Medical Center Dr. 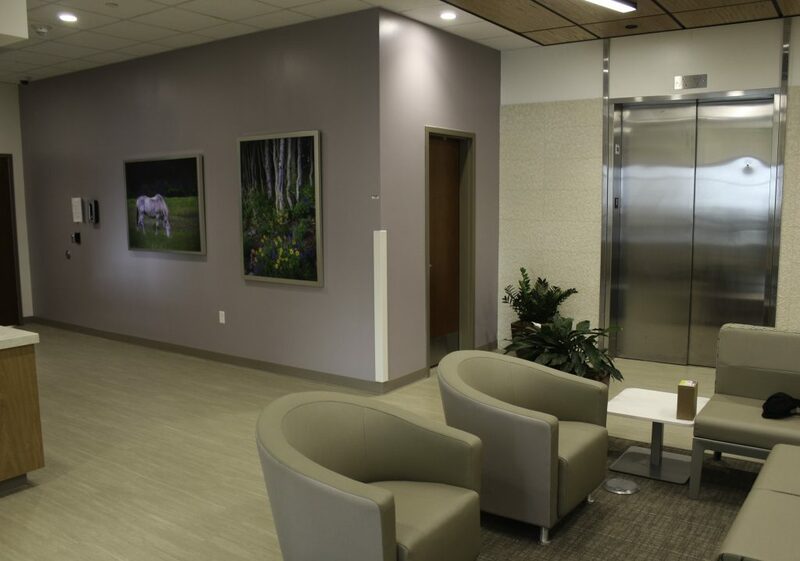 The new labor and delivery unit is located on the second floor of the north tower on the campus, where staff will be available to show patients and visitors where they need to go during the transition. Designated parking spaces adjacent to the north tower main entrance are available for women in labor, while patients not in active labor or family and visitors can park in the main parking lot and access the labor and delivery unit via the lobby elevators. 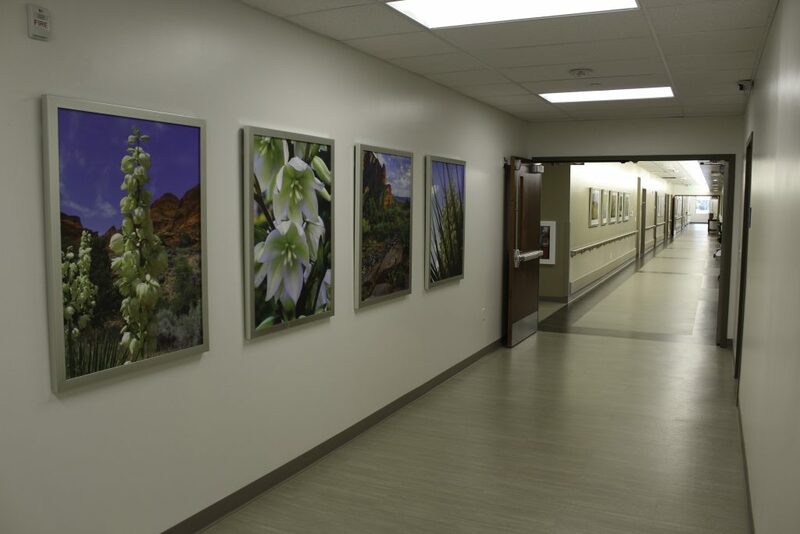 Patients being cared for at the 400 East campus at the time of the move will be transported to the new location. Dixie Regional has made preparations to move patients as safely as possible, using ambulances and teams who will be monitoring traffic patterns to determine the safest driving route. The moving team has contingency plans in place for any possible issues that may arise during the process. The most critical part of the moving process will be transporting babies from the neonatal intensive care unit (NICU). Newborns in NICU need complicated medical care, and the move will require a team of physicians, nurses, respiratory therapists, neonatal nurse practitioners and neonatal Life Flight crews to move each individual baby, a process which is anticipated to take one hour per baby. Life Flight crews will be deployed from Salt Lake City to provide regular support for the community while local teams focus on the move. Patients in the mom and baby postpartum recovery unit will also be relocated during the Dec. 11 move. 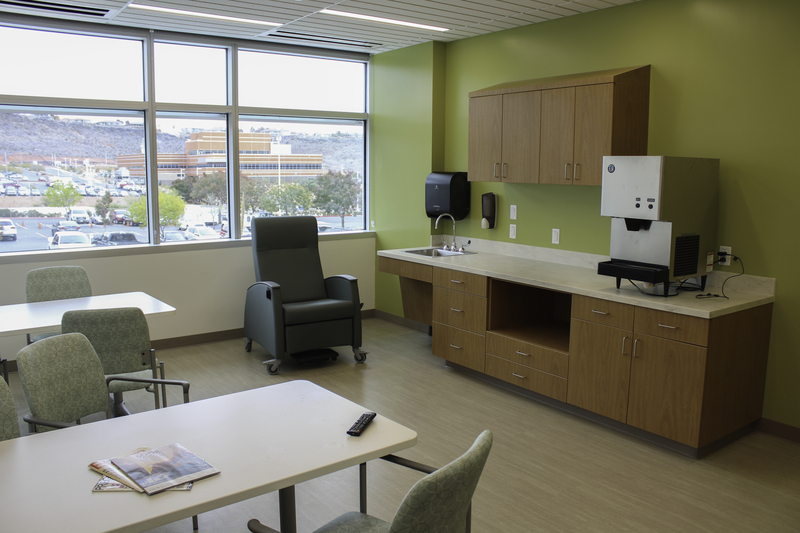 The new unit is located on the third floor of the north tower and was specifically designed for family-centered care. 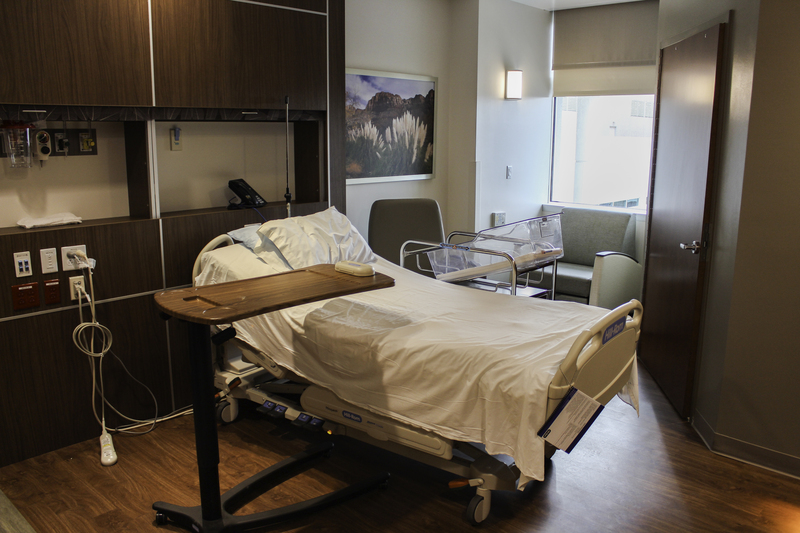 The new mom and baby rooms are larger to allow room for more people to visit comfortably. They have also upgraded the couches to be larger for a more comfortable stay. 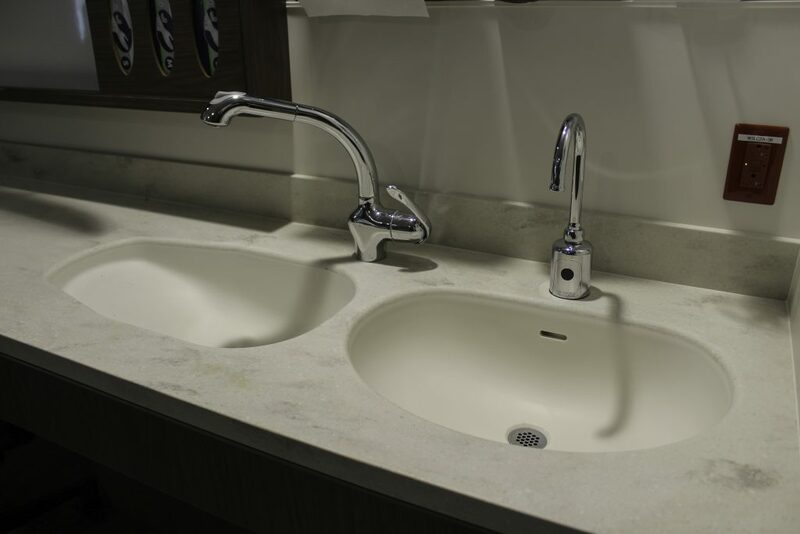 A sink specifically designed for bathing babies is included in each room, which includes a warming lamp and is shaped for a baby to lay comfortably in. 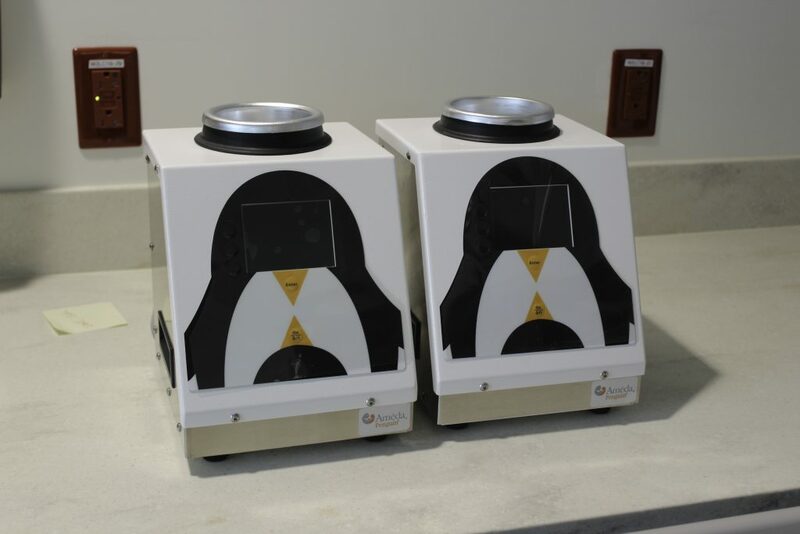 “It’s perfect for the families to be there to witness the first bath,” Hanson said. 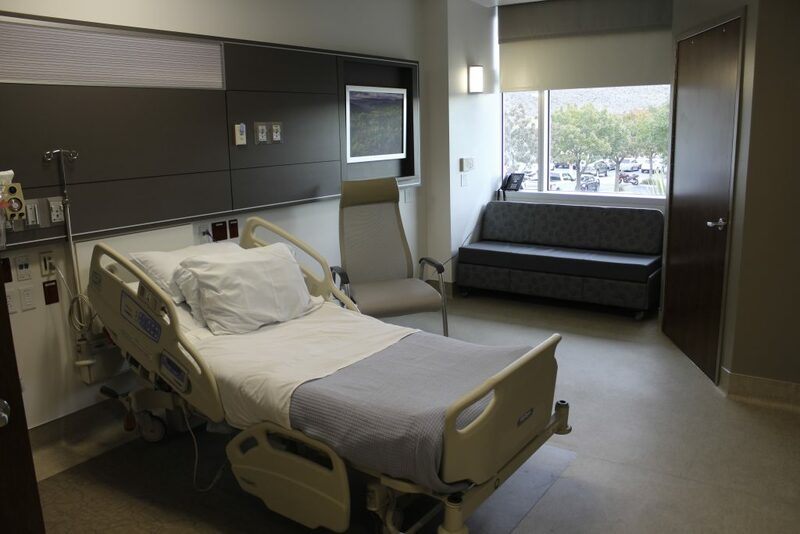 But not to put the cart before the horse, the new center also offers a variety of labor and delivery options to bring the bundle of joy into the world, including traditional labor and delivery rooms, low-intervention rooms and Simply Birth suites. Terri Draper, DRMC communications director, said they are trying to create the perfect environment for this “very special, once-in-a-lifetime” occasion. “When you welcome a new life to your family, we want to have the mom and dad have the kind of experience that they want,” Draper said. 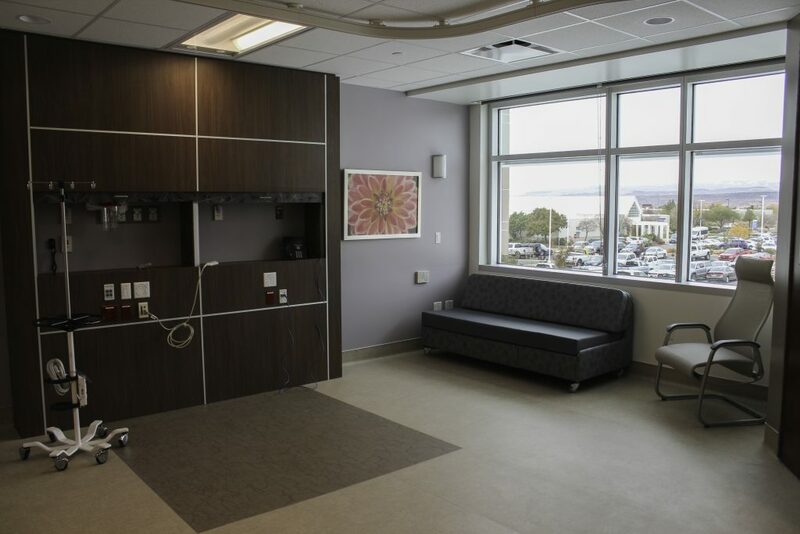 Two of the rooms in the labor and delivery unit are set aside as Simply Birth suites. These rooms are designed to allow mothers to deliver their baby in a home-like environment. They are equipped with comfortable beds, decorative pillows and a whirlpool bathtub to help relieve the pain of contractions. While mothers in the Simply Birth and low-intervention rooms are able to deliver with minimal nursing intervention, each room includes the same equipment that is found in a traditional labor and delivery room, but it is hidden behind panels and easily accessible if needed. “If you want a homelike experience with a certified midwife and believe the safety of a hospital is important, the Simply Birth suite is a beautiful choice,” Draper said. 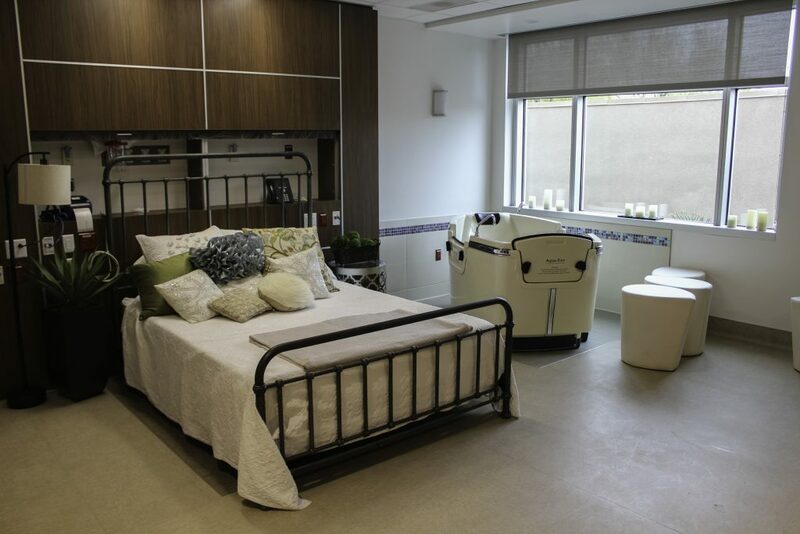 The Simply Birth suites are also larger to allow for more family and friends to be able to witness the birth if the mother chooses. Hansen called it “a gift” to be part of a birth. The center also includes a new unit for mothers who are considered high risk and must be closely monitored at the hospital. 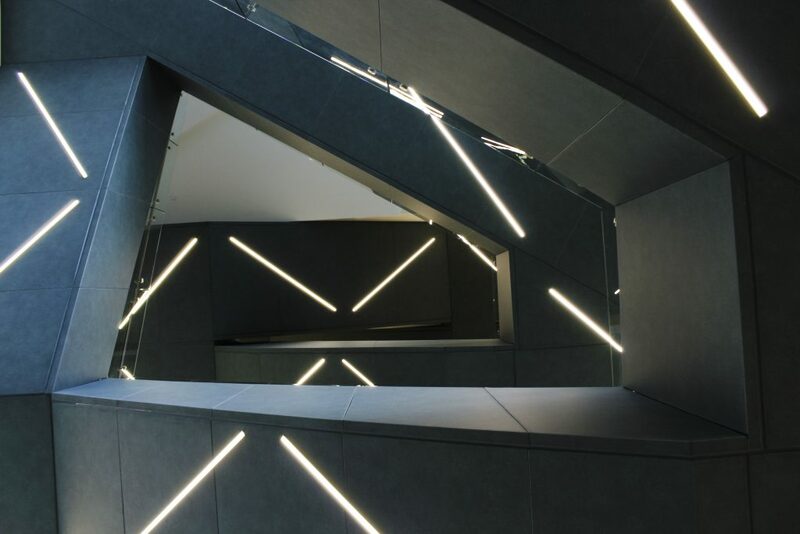 The space is designed to allow family members to visit comfortably and includes a gathering room for friends and family. Two surgical suites offer the most up-to-date technology for performing cesarean sections. 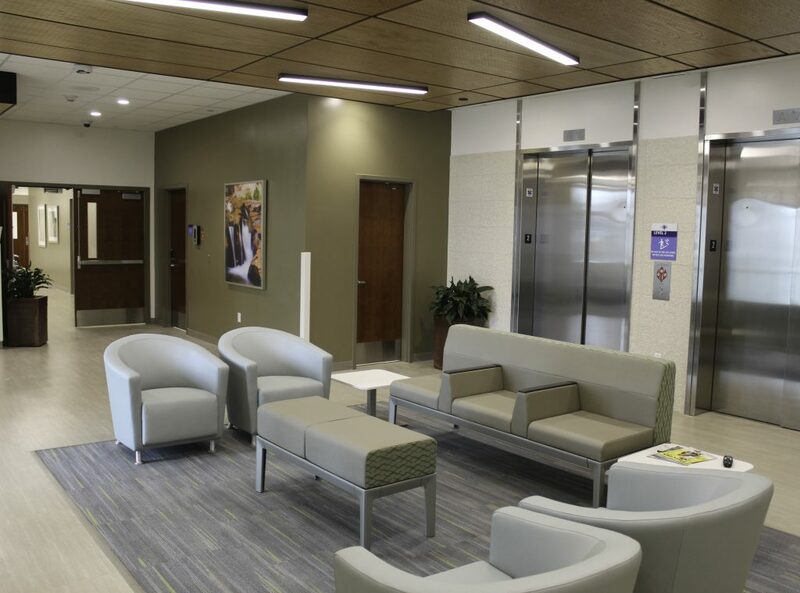 Every person’s birth experience is different, and Intermountain has designed the new Women and Newborn Center to support and provide the best care for a variety of situations and preferences. In addition to opening of the Women and Newborn Center, DRMC’s new Behavioral Health Unit and Access Center will open at its new River Road location on the fourth floor of the north tower Dec. 10. 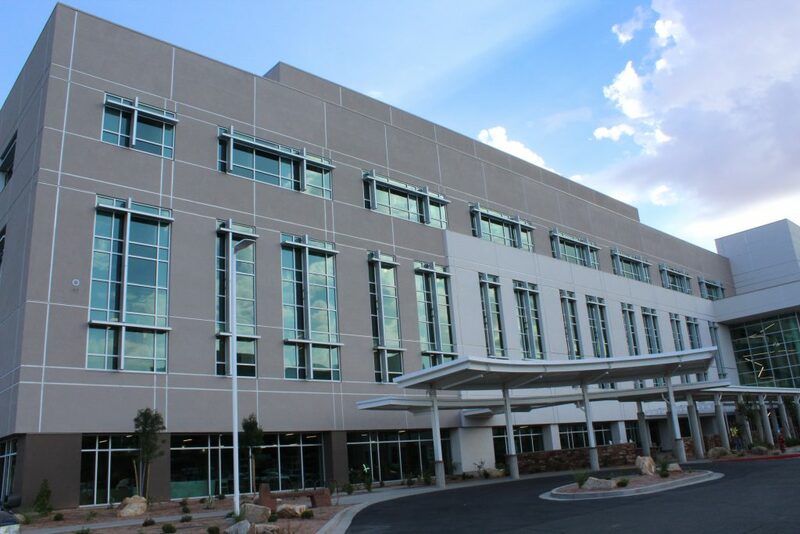 The Intermountain Cancer Center of St. George is still under construction and is slated to open its doors early 2019. Written by MIKAYLA SHOUP, St. George News.